Cada pessoa traz em torno de si uma “nuvem personalizada” de micróbios e, de acordo com um novo estudo, é possível identificar um indivíduo a partir do exame da combinação única de bactérias suspensas no ar ao seu redor. O novo estudo, liderado por pesquisadores da Universidade do Oregon, nos Estados Unidos, foi publicado hoje na revista científica Peerj. A fim de testar até que ponto seres humanos possuem uma assinatura própria em suas nuvens de micróbios, os cientistas realizaram um experimento de sequenciamento genético dos micróbios suspenso no ar em torno de 11 pessoas diferentes. Os voluntários foram colocados em câmaras experimentais higienizadas e, a partir do exame dos micróbios coletados no ar, os pesquisadores puderam identificar a maior parte deles a partir de suas combinações pessoais de bactérias. 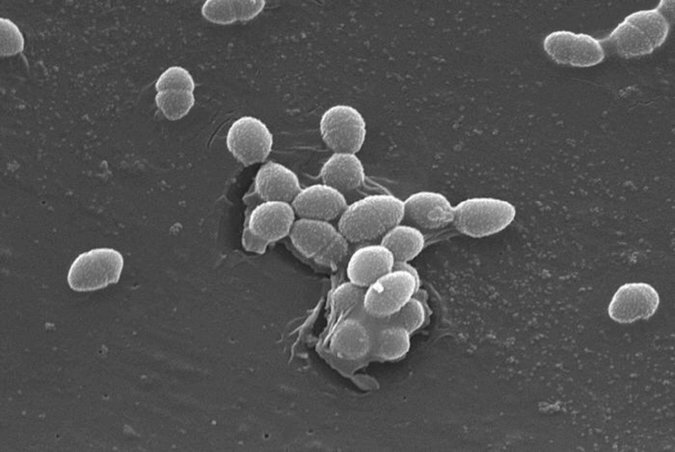 Os micróbios que permitiram identificar os indivíduos são bactérias extremamente comuns – como a Streptococcus, normalmente encontrada na boca, a Propionibacterium e a Corynebacterium, ambas abundantes na pele humana. Ainda que todos os micróbios tenham sido detectados no ar em torno de todos os voluntários do estudo, os autores descobriram que diferentes combinações das bactérias permitiam distinguir indivíduos. “Nós já esperávamos que poderíamos detectar o conjunto de micróbios no ar em torno de uma pessoa, mas ficamos surpresos ao descobrir que podemos identificar a maior parte dos ocupantes das câmaras unicamente a partir de amostras de suas nuvens de micróbios”, disse o autor principal do estudo, James Meadow, pós-doutorando da Universidade do Oregon. “Nossos resultados confirmam que um espaço ocupado é microbioticamente distinto de um espaço desocupado. Demonstramos também pela primeira vez que indivíduos emitem sua própria nuvem de micróbios personalizada”, afirmou Meadow. “Aura” de micróbios. Durante o experimento, os voluntários receberam roupas limpas e foram isolados em uma câmara estéril, onde ficaram sentados em uma cadeira de plástico desinfetada por até quatro horas. As amostras das bactérias emitidas pelos indivíduos foi feita a partir de material coletado em placas de Petri – pequenos pratos de vidro usados em laboratório para culturas de bactérias – deixadas na câmara e em filtros de ar especiais. Segundo Meadow, o exame do material deixou claro que cada voluntário emitiu milhões e milhões de micróbios pela respiração, pela pele e provavelmente pelo suor. Os cientistas verificaram que a combinação de bactérias de cada indivíduo era totalmente distinta. O estudo, segundo os autores, ajuda a compreender até que ponto as pessoas emitem sua população específica de micróbios no ambiente ao redor e pode ajudar a entender os mecanismos envolvidos no alastramento de doenças infecciosas em prédios. A descoberta pode ter também, de acordo com os autores, aplicações forenses como determinar onde uma pessoa esteve, embora ainda não tenha ficado claro se indivíduos podem ser detectados em um grupo com muitas pessoas. What is it that makes you, you? 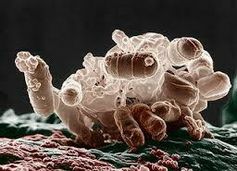 While you’re made up of 10 trillion human cells, 100 trillion microbial cells also live on you and in you. This vast array of microscopic bugs may be your defining feature, and scientists around the world are racing to find out more. Amanda Smith reports. Microbes, it seems, are the next big thing. Around the world, scientists are researching the human microbiome—the genes of our microbes—in the hope of unlocking quite a different way to understand sickness and health. At the Microbiome Initiative at the University of California, San Diego, Rob Knight runs the American Gut Project, a citizen science initiative where you can get your microbiome sequenced. 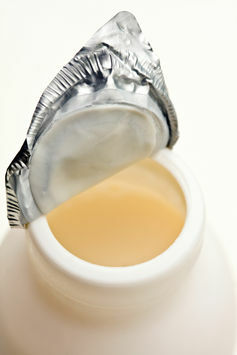 Breast milk is meant to present the baby with a manageable dose of everything in the environment. It samples the entire environment—everything the mother eats, breathes, touches. MAUREEN MINCHIN, AUTHOR OF MILK MATTERS. The Australian Centre for Ecogenomics is also setting up a service where you can get your gut microbes analysed. The centre’s director, Phillip Hugenholtz, predicts that in years to come such a process will be a diagnostic procedure when you go to the doctor, much like getting a blood test. While this level of interest in the microbiome is new, the first person to realise we’re all teeming with micro-organisms was Dutchman Anton Leeuwenhoek, way back in 1676. Leeuwenhoek was interested in making lenses, and constructed himself a microscope. ‘He was looking at the scum from his teeth, and was amazed to see in this scraped-off plaque from inside his own mouth what he called hundreds of different “animalcules swimming a-prettily”,’ says Tim Spector, professor of genetic epidemiology at Kings College London. Microbes have come a long way over the last century. Until recent advances in DNA sequencing, all tummy bugs were considered bad. ‘We used to think that there was no such thing as a good microbe in our guts, that they were all out to do us no good, and we’ve basically spent the last 100 years trying to eliminate them with disinfectants and then the last 50 years with antibiotics,’ says Spector. This has given rise to the ‘hygiene hypothesis’, which contends that by keeping ourselves too clean, we’re denying ourselves the microbes necessary to keep our immune system balanced, resulting in all sorts of chronic diseases. ‘Over the last half-century, as infectious diseases like polio and measles and hepatitis and so-on have plummeted in their frequency, chronic diseases—everything from obesity to diabetes to inflammatory bowel disease—have been skyrocketing,’ says the Microbiome Initiative’s Rob Knight. In terms of human DNA, we’re all 99.99 per cent identical. However our microbial profiles can differ enormously. We might share just 10 per cent of our dominant microbial species with others. According to Knight, some of the differences are explained by method of birth. ‘If you come out the regular way you get coated with microbes as you’re passing through your mother’s birth canal,’ he says. Babies delivered by Caesarian section, on the other hand, have microbes that are mostly found on adult skin, from being touched by different doctors and nurses. Also important to the development of healthy microbiota in babies is breastfeeding, according to Maureen Minchin, the author of Milk Matters. ‘We’ve known for over 100 years that breast milk and formula result in very, very different gut flora in babies, but it’s only very recently that anyone has thought to look and see what breast milk does contain, and at last count there were well over 700 species of bacteria in breast milk,’ she says. According to Minchin, breastfeeding is the bridge between the womb and the world for babies. Minchin is an advocate of the World Health Organisation’s recommendation to breastfeed exclusively to six months and then continue breastfeeding while introducing other foods through the first and second year. So if what babies are fed is important for their microbiome, what about adults? Tim Spector says research into microbes is yielding new information about healthy eating. According to Spector, studies of people with various chronic diseases, obesity and diabetes show a common feature, which is that their gut microbes have a much-reduced diversity compared to healthy people. He likes to use the analogy of a garden: ‘A neglected garden has very few species, not much fertilised soil, and this allows weeds to take over in great numbers,’ he says. May your gut flora bloom! In the most comprehensive study to date, researchers have identified a potential link between microbes (viruses, bacteria and fungi) in the throat and schizophrenia. This link may offer a way to identify causes and develop treatments of the disease and lead to new diagnostic tests. In the most comprehensive study to date, researchers at the George Washington University have identified a potential link between microbes (viruses, bacteria and fungi) in the throat and schizophrenia. This link may offer a way to identify causes and develop treatments of the disease and lead to new diagnostic tests. Recent studies have shown that microbiomes — the communities of microbes living within our bodies — can affect the immune system and may be connected to mental health. Research linking immune disorders and schizophrenia has also been published, and this study furthers the possibility that shifts in oral communities are associated with schizophrenia. Mr. Castro-Nallar’s research sought to identify microbes associated with schizophrenia, as well as components that may be associated with or contribute to changes in the immune state of the person. In this study, the group found a significant difference in the microbiomes of healthy and schizophrenic patients. The study helps to identify possible contributing factors to schizophrenia. With additional studies, researchers may be able to determine if microbiome changes are a contributing factor to schizophrenia, are a result of schizophrenia or do not have a connection to the disorder. Two years ago, Mazmanian published a study in the journal Cell with Elaine Hsiao, then a graduate student at his lab and now a neuroscientist at Caltech, that made a provocative link between a single molecule and behavior. 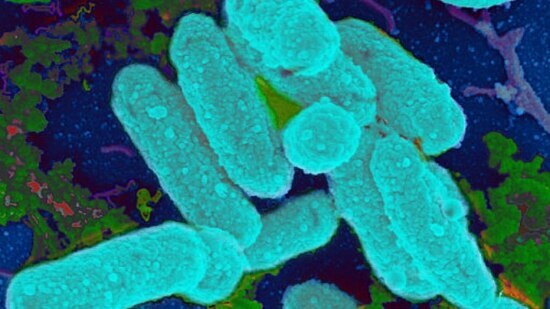 Their research found that mice exhibiting abnormal communication and repetitive behaviors, like obsessively burying marbles, were mollified when they were given one of two strains of the bacterium Bacteroides fragilis. We’ve long known that that the gut is responsible for digesting food and expelling the waste. More recently, we realised the gut has many more important functions and acts a type of mini-brain, affecting our mood and appetite. 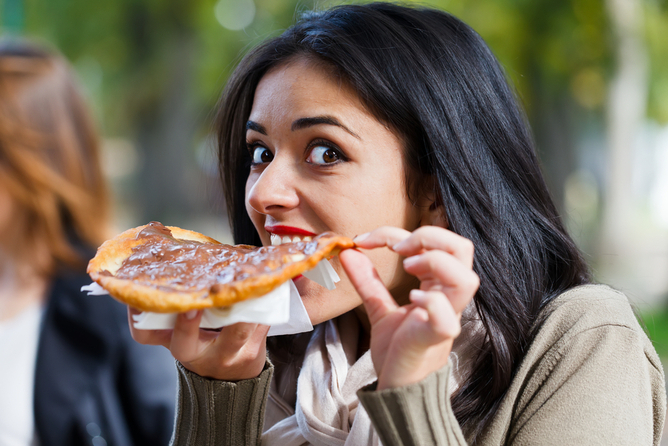 Now, new research suggests it might also play a role in our cravings for certain types of food. How does the mini-brain work? The gut mini-brain produces a wide range of hormones and contains many of the same neurotransmitters as the brain. The gut also contains neurons that are located in the walls of the gut in a distributed network known as the enteric nervous system. In fact, there are more of these neurons in the gut than in the entire spinal cord. The enteric nervous system communicates to the brain via the brain-gut axis and signals flow in both directions. The brain-gut axis is thought to be involved in many regular functions and systems within the healthy body, including the regulation of eating. Let’s consider what happens to the brain-gut axis when we eat a meal. When food arrives in the stomach, certain gut hormones are secreted. These activate signalling pathways from the gut to the brainstem and the hypothalamus to stop food consumption. Such hormones include the appetite-suppressing hormones peptide YY and cholecystokinin. Gut hormones can bind and activate receptor targets in the brain directly but there is strong evidence that the vagus nerve plays a major role in brain-gut signalling. The vagus nerve acts as a major highway in the brain-gut axis, connecting the over 100 million neurons in the enteric nervous system to the medulla (located at the base of the brain). Research has shown that vagus nerve blockade can lead to marked weight loss, while vagus nerve stimulation is known to trigger excessive eating in rats. This brings us to the topic of food cravings. Scientists have largely debunked the myth that food cravings are our bodies’ way of letting us know that we need a specific type of nutrient. Instead, an emerging body of research suggests that our food cravings may actually be significantly shaped by the bacteria that we have inside our gut. In order to explore this further we will cover the role of gut microbes. As many as 90% of our cells are bacterial. In fact, bacterial genes outnumber human genes by a factor of 100 to one. The gut is an immensely complex microbial ecosystem with many different species of bacteria, some of which can live in an oxygen-free environment. An average person has approximately 1.5 kilograms of gut bacteria. The term “gut microbiota” is used to describe the bacterial collective. Gut microbiota send signals to the brain via the brain-gut axis and can have dramatic effects on animal behaviour and health. In one study, for example, mice that were genetically predisposed to obesity remained lean when they were raised in a sterile environment without gut microbiota. These germ-free mice were, however, transformed into obese mice when fed a faecal pellet that came from an obese mouse raised conventionally. There is growing evidence to support the role of gut microbiota in influencing why we crave certain foods. We know that mice that are bred in germ-free environments prefer more sweets and have greater number of sweet taste receptors in their gut compared to normal mice. Research has also found that persons who are “chocolate desiring” have microbial breakdown products in their urine that are different from those of “chocolate indifferent individuals” despite eating identical diets. Many gut bacteria can manufacture special proteins (called peptides) that are very similar to hormones such as peptide YY and ghrelin that regulate hunger. Humans and other animals have produced antibodies against these peptides. This raises the distinct possibility that microbes might be able to directly influence human eating behaviour through their peptides that mimic hunger-regulating hormones or indirectly through antibodies that can interfere with appetite regulation. There are substantial challenges to overcome before we can apply this knowledge about gut microbiota in a practical sense. First, there is the challenge of collecting the gut microbes. Traditionally this is collected from stools but gut microbiota is known to vary between different regions of the gut, such as the small intestine and colon. Obtaining bacterial tissue through endoscopy or another invasive collection technique in addition to stool samples may lead to more accurate representation of the gut microbiome. Second, the type of sequencing that is currently used for gut microbiota screening is expensive and time-consuming. Advances will need to be made before this technology is in routine use. Probably the greatest challenge in gut microbiota research is the establishment of a strong correlation between gut microbiota patterns and human disease. The science of gut microbiota is in its infancy and there needs to be much more research mapping out disease relationships. But there is reason to be hopeful. There is now strong interest in utilising both prebiotics and probiotics to alter our gut micro biome. Prebiotics are non-digestible carbohydrates that trigger the growth of beneficial gut bacteria, while probiotics are beneficial live microorganisms contained in foods and supplements. Faecal transplantation is also now an accepted treatment for those patients that have a severe form of gut bacterial infection called Clostridium difficile, which has been unresponsive to antibiotics. The use of such targeted strategies is likely to become increasingly common as we better understand how gut microbiota influence our bodily functions, including food cravings. Summary: In the first evidence that natural selection favors an individual’s infection tolerance, researchers have found that an animal’s ability to endure an internal parasite strongly influences its reproductive success. The finding could provide the groundwork for boosting the resilience of humans and livestock to infection. In the first evidence that natural selection favors an individual’s infection tolerance, researchers from Princeton University and the University of Edinburgh have found that an animal’s ability to endure an internal parasite strongly influences its reproductive success. Reported in the journalPLoS Biology, the finding could provide the groundwork for boosting the resilience of humans and livestock to infection. The researchers used 25 years of data on a population of wild sheep living on an island in northwest Scotland to assess the evolutionary importance of infection tolerance. They first examined the relationship between each sheep’s body weight and its level of infection with nematodes, tiny parasitic worms that thrive in the gastrointestinal tract of sheep. The level of infection was determined by the number of nematode eggs per gram of the animal’s feces. Graham and her colleagues used the wealth of information collected over many years on the Soay sheep living on the island of Hirta, about 100 miles west of the Scottish mainland. These sheep provide a unique opportunity to study the effects of parasites, weather, vegetation changes and other factors on a population of wild animals. Brought to the island by people about 4,000 years ago, the sheep have run wild since the last permanent human inhabitants left Hirta in 1930. By keeping a detailed pedigree, the researchers of the St Kilda Soay Sheep Project can trace any individual’s ancestry back to the beginning of the project in 1985, and, conversely, can count the number of descendants left by each individual. In humans and domesticated animals, intestinal parasites are becoming increasingly resistant to the drugs used to treat infections, Graham said. If the availability of nutrients, even just during the first few months of life, impacts lifelong parasite tolerance, simple nutritional supplements could be an effective way to promote tolerance in people. About 2 billion people are persistently infected with intestinal nematode parasites worldwide, mostly in developing nations. Children are especially vulnerable to the worms’ effects, which include anemia, stunted growth and cognitive difficulties.